Fanise is from the village of Okay where her mother, two sisters, and four brothers live. Her mother sells rice and beans in the free market in Okay. One day she would like to return there to live. But first, she must get an education. 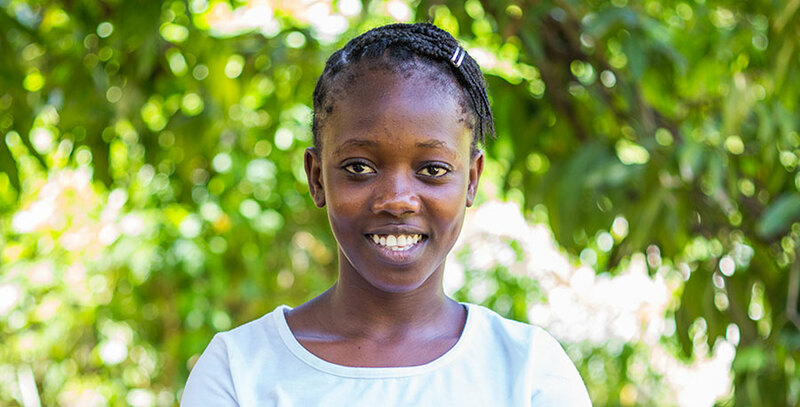 Fanise’s mom sent her here to live at the Fond Blanc Orphanage to become someone in life. She would like to finish her education and go to nursing school. While living here at the orphanage, she helps out with cooking, dishes, and looking after some of the younger girls. She cares for Roseline, Ferline, and Jasmine. Her favorite thing to do is the dishes. Right now, Fanise is trying to learn English but sometimes she is shy in practicing it.